The Gala Electric Casino is situated in the UGC Cinema Complex at Mary Ann Street in Cardiff and offers gaming excitement 24 hours day, 7 days a week. Choose from a range of casino gaming options including 9 tables that host American Roulette, Blackjack, 3 Card Poker and much more. The casino also hosts the World Series of Poker tournaments. The Jackpot Zone has 17 slot machines that offer jackpots as high as £4,000. Take some time out and relax in the Club Lounge while you watch live sport or play electronic roulette games on your own screen. If you are new to the world of gaming, the Casino Magic package is a great way to learn to play, whether you are by yourself or with a group of friends. Get a free £10 chip on roulette when you sign up for the package. Facilities at the casino include a restaurant, valet menu, a bar, smoking area with Sky TV, free breakfast everyday between 8am and 11am and facilities for the disabled. No membership is required to play at the Electric Casino and everyone over the age of 18 is welcome. The dress code is smart casual and sportswear is not allowed. The Chargrill restaurant has an extensive menu from premium aged Scottish steaks to fish, salads, curries and burgers with an extensive wine list that includes wines from all over the world. The Sunset menu is great value and is available before 8pm for £9.95 for two courses and £11.95 for three courses. For those that want to play uninterrupted, choose from the Valet Menu consists of finger foods and light snacks, just perfect for keeping hunger at bay while you play. The 18° Below Ice Bar stocks an extensive range of wines, beers and spirits and is a great place to hang out with friends or just to relax between games. 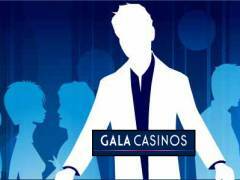 The Gala Electric Casino hosts special events like slots tournaments, ladies nights, cash poker games and a lot more.